We are very excited to announce that our professionally produced Audio Runs are now available to download. 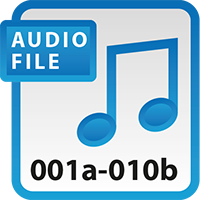 These Audio files are the ideal way to learn your Blue Book Runs on the go. Recorded by radio presenter and voice over artist Sandy Warr, they are available to purchase in sets of 10 Blue Book Runs with Links. The first set is FREE to download below with each additional set costing only £1.99.Please note that if you are downloading these audio files onto a phone or tablet you will need to download the FREE Zip Viewer app first and download the audio files straight into the Zip viewer app. Knowledge Point School Where to find?